The new Dial® Miracle Oil Body Wash is infused with caring Marula oil for beautifully, soft skin. The new body wash is formulated with Micro Oil Technology for a luxurious, clean-rinsing lather that leaves skin feeling clean, soft and smooth. I like how just a little bit of body wash on a pouf lathers up super easy and goes a long way. I'm a big fan of having moisturizers in my body was so I don't' have to lather on lotions right after showering to keep my skin healthy and soft. Instead of hosting a giveaway for the extra coupons sent to me I opted to pick up the body wash myself and then dropped them off at the local shelter. I heard with the super cold temperatures they were running low on supplies this year. I think you will agree that was a great way to use them helping others in a time of need! 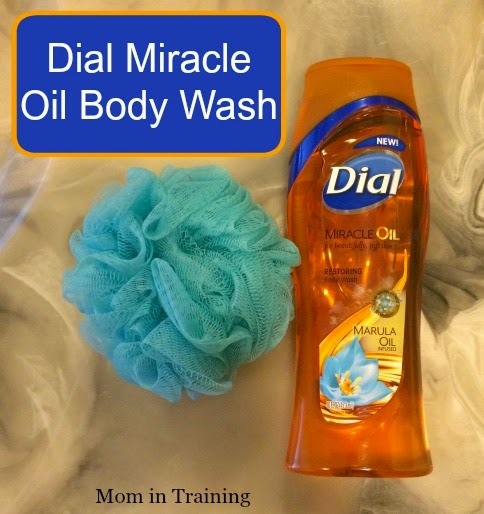 Have you had a chance to use the new Dial® Miracle Oil Body Wash? If so what did you think?